This was the eBay description: A Real Rare Item!! 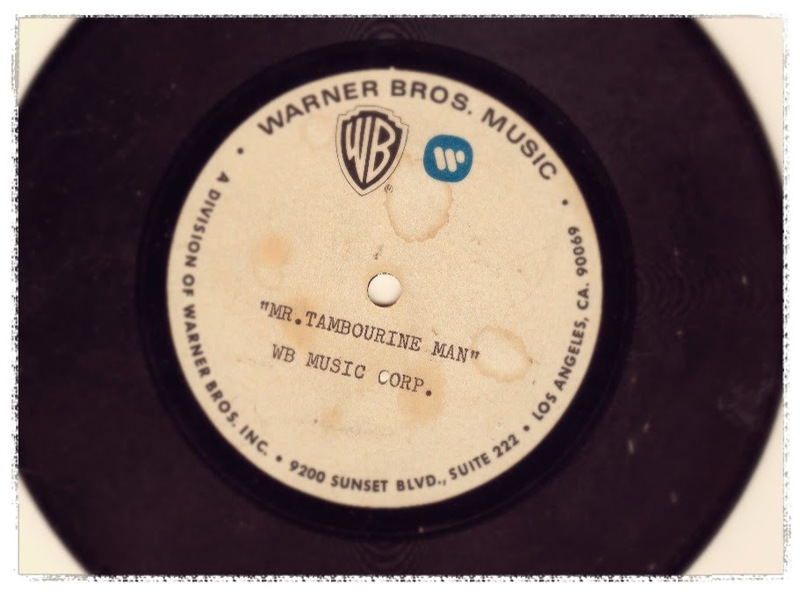 BOB DYLAN - MR. TAMBOURINE MAN 45rpm Acetate! One sided as photos show. An early to mid 1970's publishing acetate. Plays with no skips, voice and guitar come through wonderfully, but the disc is "acetate noisy". There are a few tiny marks possibly paint that had been wiped or blotted off before it could harden, so it doesn't produce any skips or horrible pops. None of the metal plate is showing through. A couple of small paint spots and water marks on label. Only a few were made and only a few made it out from WB Music. The other important fact is that this is an edited version of the song which runs over five minutes. This Version is 3:50! In the U.K., Dylans' Songbook (sheet music) was published by Warner Brothers Music in the '70's. This came from Warner Brothers in the U.S. A real gem! Copyright Extension Collections 1962 - ?? ?